The previous chapter covered the basic installation and configuration of Terminal Services on Windows Server 2008. Once this task has been completed the next step is to install applications on the Windows Server 2008 system for use by multiple remote users. It is important to note that, firstly, applications must be installed specifically for use by Terminal Services users and, secondly, that not all applications are designed to be run by multiple concurrent users. With these constraints in mind, this chapter will cover the basics of safely installing applications on Windows Server 2008 for use by remote users via Terminal Services. This chapter will focus on installing applications in the context of remote desktop access (where a remote user accesses a full desktop session on the remote server to launch applications). To have each remote application run within its own window on the local client it will be necessary to configure the applications as RemoteApps, a topic which is covered in detail in the Configuring RemoteApps on Windows Server 2008 chapter of this book. Terminal Services on Windows Server 2008 function in two different operating modes known as Execute mode and Install mode. Terminal Services are in Execute mode when a client are connected and applications are being executed by users. 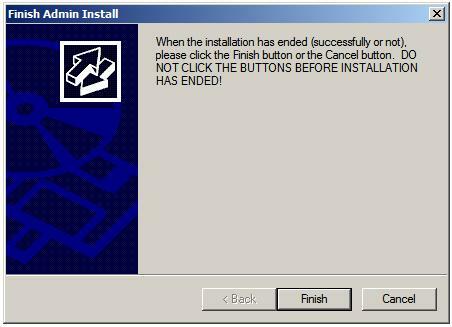 Install mode is entered when applications are being installed for use by client users. 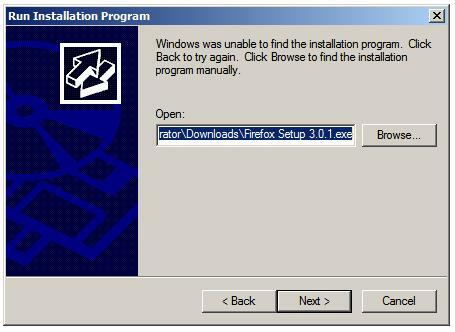 Essentially, when in Install mode Windows ensures that the appropriate registry entries and .ini file settings are configured for the application to function in multi-user mode. Application EXECUTE mode is enabled. If the application is designed for multi-user use it is now ready for use by remote users via Terminal Services. Applications which are not multi-user compatible may need to use compatibility scripts. For applications not designed to work in mutli-user environments there a number of tricks that can be performed. If the application uses a fixed path name for user files that will cause problems when there are multiple users a useful trick is to map these paths to a drive letter and then set the drive to point to different paths for each user. For example, user Bill might have drive letter E: mapped to C:\users\bill\data while user Joe would have E: mapped to C:\users\joe\data. Another option is to use compatibility scripts which get executed each time a remote user launches an application. Windows Server 2008 provides two sample scripts located in %SystemRoot%\Application Compatibility Scripts. RootDrv.cmd maps a drive letter to the home directory of the user executing the script enabling the trick outlined above to be performed automatically. In this chapter of Windows Server 2008 Essentials we have looked at installing applications for use with Terminal Services. The next chapter will look at using RemoteApps display remote applications in their own windows on a client desktop.